As part of a project to improve safety in the energy pipeline industry, researchers have successfully flight-tested a miniature methane gas sensor developed by NASA's Jet Propulsion Laboratory, Pasadena, California, on a Vertical Take-off and Landing small unmanned aerial system (sUAS). The sensor, similar to one developed by JPL for use on Mars, enables detection of methane with much higher sensitivity than previously available for the industry in hand-carried or sUAS-deployable instruments. The tests were conducted in central California at the Merced Vernal Pools and Grassland Reserve, and were funded by Pipeline Research Council International (PRCI). The jointly conducted test of NASA's Open Path Laser Spectrometer (OPLS) sensor is the latest effort in a methane testing and demonstration program conducted on various platforms since 2014. The ability of the OPLS sensor to detect methane in parts per billion by volume could help the pipeline industry more accurately pinpoint small methane leaks. Researchers from JPL and the Mechatronics, Embedded Systems and Automation (MESA) Lab at the University of California, Merced, conducted the flight tests in late February. They flew a small unmanned aerial system equipped with the OPLS sensor at various distances from methane-emitting gas sources. Tests were done in a controlled setting to test the accuracy and robustness of the system. 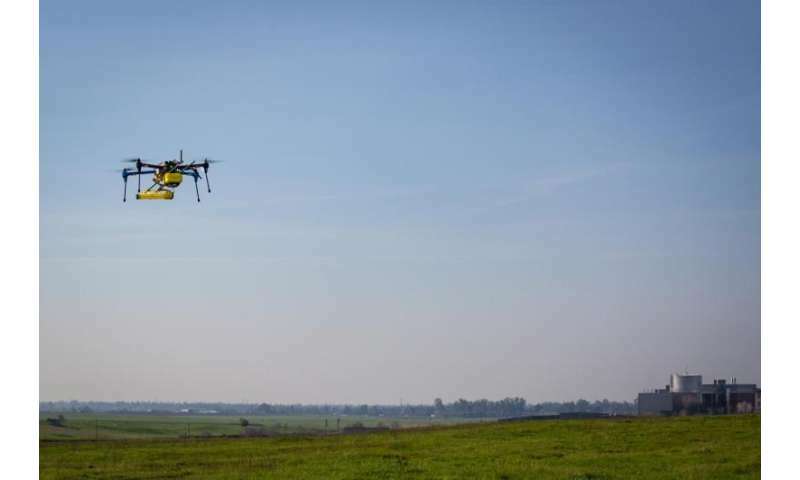 The advanced capabilities provided by sUASs, particularly enhanced vertical access, could extend the use of methane-inspection systems for detecting and locating methane gas sources. Additional flight testing this year will feature a fixed-wing UAS, which can fly longer and farther. Those capabilities are necessary for monitoring natural-gas transmission pipeline systems, which are often hundreds of miles long and can be located in rural or remote areas. This latest round of tests furthers the team's goal to develop sUASs to improve traditional inspection methods for natural-gas pipeline networks, which may enhance safety and improve location accuracy. "These tests mark the latest chapter in the development of what we believe will eventually be a universal methane monitoring system for detecting fugitive natural-gas emissions and contributing to studies of climate change," said Lance Christensen, OPLS principal investigator at JPL. Making methane leak detection cheaper and faster via drones would put a dent in a huge problem here in the US. Whereas working many environmentalists want to point fingers at the oil and gas drilling industry, a large percentage of US methane emissions are due to leaks and finding out where they are is the first step in reducing these omissions.